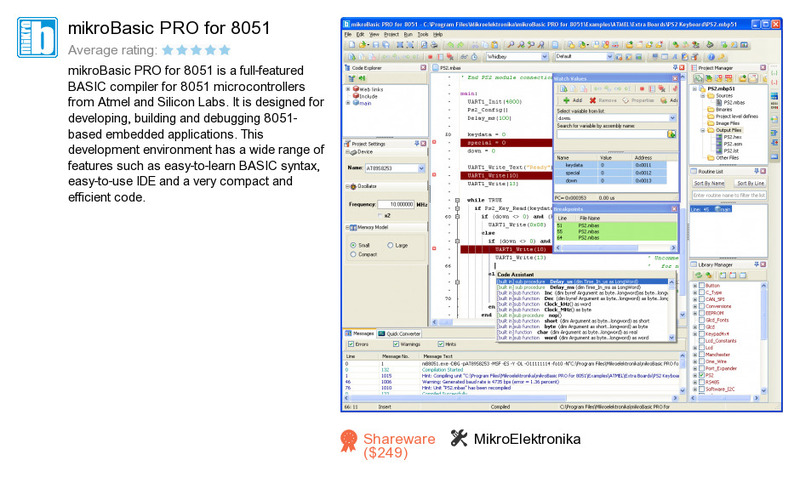 MikroBasic PRO for 8051 is a software product developed by MikroElektronika. We know of versions 3.5, 2.2. Version 3.5 is available for free download at our site. MikroBasic PRO for 8051 installation package has a size of 15,896,542 bytes. MikroElektronika also publishes MikroPascal PRO for 8051 and MikroC PRO for dsPIC.